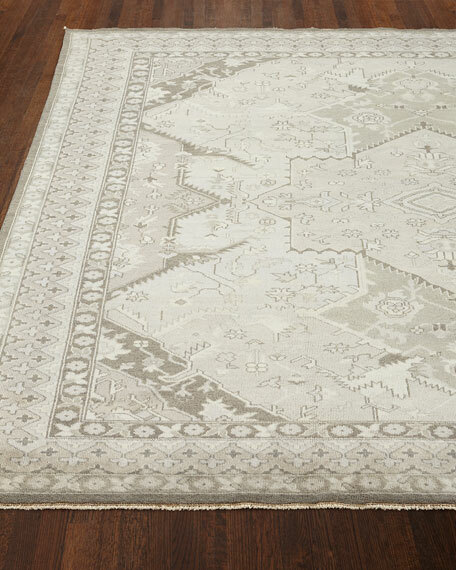 Rug design inspired by an Oushak tribal rug made in Turkey in the mid-to-late 19th century. 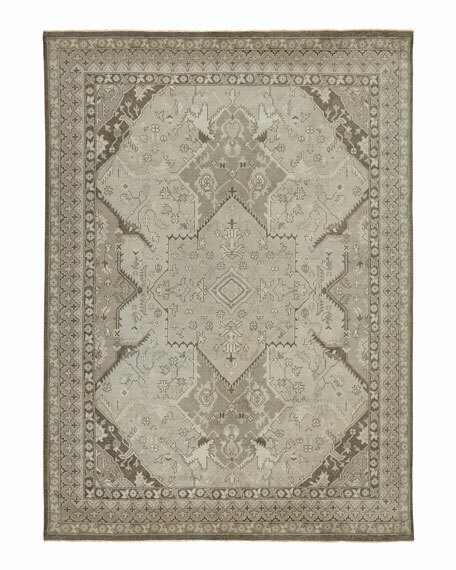 Birand Oushak Rug, 5'6" x 8'6"
Hand-knotted rug with multi-tonal striations. All rugs have a "light" side and a "dark" side, depending on the viewing angle.